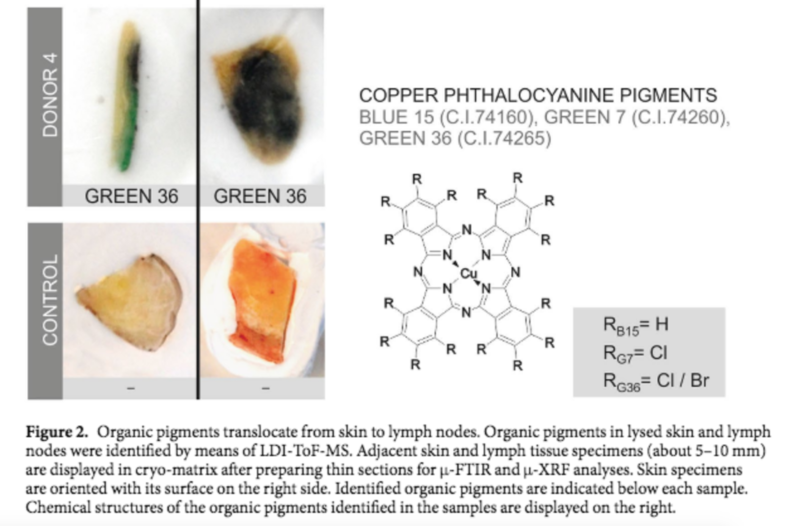 In the slightly macabre experiment to find out where tattoo ink travels to in the body, French and German researchers recently used synchrotron X-ray fluorescence in four “inked” human cadavers — as well as one without. The results of their 2017 study? 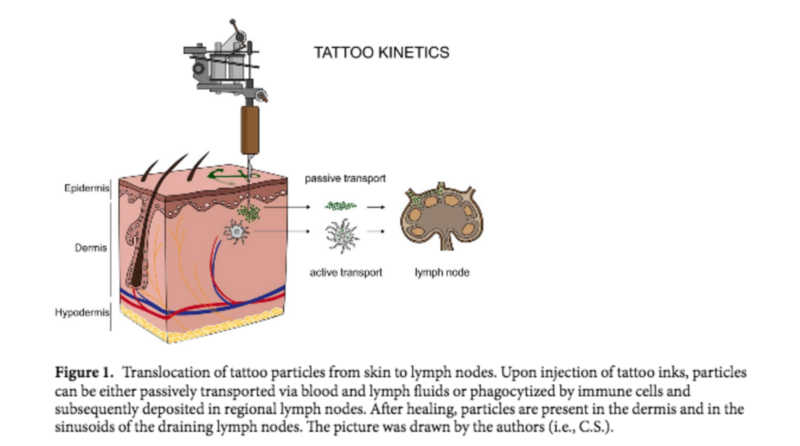 Some of the tattoo ink apparently settled in lymph nodes. 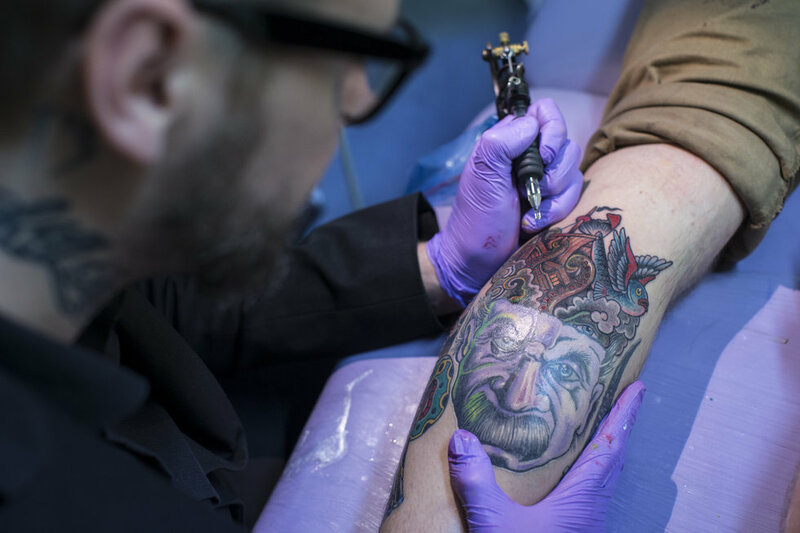 “The increasing prevalence of tattoos provoked safety concerns with respect to particle distribution and effects inside the human body,” they write. Titanium dioxide appears to be the thing that travels. It’s a white tattoo ink pigment that’s mixed with other colors all the time to control shades. The study’s authors will keep working on this in the meantime.